Kukolnik, Nestor Vasilievich (1809-1868) was a Russian playwright and prose writer. Nestor Kukolnik was born on September 8, 1809 in the city of Saint Petersburg in the family of a professor lecturing at the Saint Petersburg Teacher's College. His father, Bazyli Wojciech Kukolnik belonged to the ethnic group of Rusyns (Ruthenians) and came from an old noble family. Graduate of Vienna University, he lectured at Poland. In 1804, Bazyli Wojciech Kukolnik was invited to teach in Russia along with professors Ivan Orlay (Orlay János) and Mikhail Balugjanskij. Among his pupils were Grand Duke Constantine Pavlovich of Russia and Grand Duke Nikolai Pavlovich of Russia, the future emperor Nikolai I of Russia; Czar Alexander I of Russia granted Vasily Kukolnik an estate in the Vilno Oblast and was Nestor Kukolnik's godfather at his baptism. Nestor studied at the Nizhyn Gymnasium of Higher Sciences (present-day Ukraine), founded earlier by Nestor's father. Nikolai Gogol studied at the same institution and they both played at the school theater. Kukolnik's literature activity started in gymnasium, where he wrote his first verses and dramas. 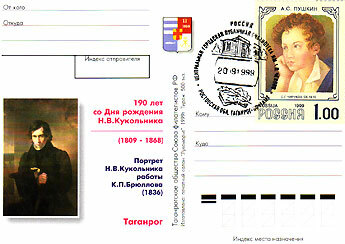 After graduating from Nizhyn Gymnasium in 1829, he gave lessons at Vilna (present-day Vilnius, Lithuania) Gymnasium, and later moved with his brother Platon Kukolnik to Saint Petersburg, where he served at the Ministry of Finance. In 1833 was published Kukolnik's first play "Tortini", soon followed by fantasy drama "Torcuato Tasso" making him a legendary playwright in the capital. The turning point in Nestor Kukolnik's literary career came in 1834, after demonstration of patriotic drama "Ruka Vsevishnego Otechestvo Spasla" (The God's Hand Saved The Motherland), applauded by the Russian Emperor Nicolas I at the play's premiere. Inspired by this success, the writer produces historical plays "Prince Mikhail Vasilievich Skopin-Shuysky". The works of Nestor Kukolnik were diverse. He tried himself in different genres: novels, historical tales, criticism, poetry and even music. He was the first to use and introduce into practice methods and motives, later used by Marina Tsvetaeva, L.A. May, Aleksey Konstantinovich Tolstoy and other writers. Kukolnik made friends with Mikhail Glinka, Russian composer who to set to music some of his verses (Hesitation, Skylark, Passing Song and more), Russian artists Karl Briullov and Ivan Aivazovsky. Today, Kukolnik is best remembered for having contributed libretto of the first Russian opera, "A Life for the Tsar" ("Ivan Susanin") by Mikhail Glinka and libretto of another Glinka's opera, "Ruslan and Lyudmila". In 1857 Nestor Kukolnik resigned and settled in Taganrog. There he continued his literature activity, but the public work played the key role of his life in that period. Nestor Vasilievich did a lot of work for education of Taganrog's society. It had an influence on the destiny of the city of Taganrog, making it into the centre of education in the South of Russia. Nestor Kukolnik was the first to prove the need of university education in the Don Land. 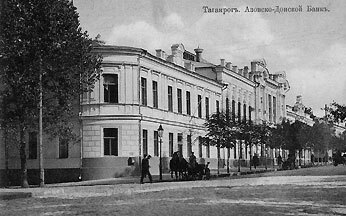 His offer to open a university in Taganrog was not successful, but later it proved to be an important foundation for opening the Novorossiysk University in Odessa in 1865. Kukolnik also proved necessity of a newspaper in Taganrog. It was one of the reasons to open newspaper-publishing houses not only in Taganrog, but also in Odessa and Rostov on Don. Since 1865 Nestor Kukolnik led the workgroup that proved necessity of a railroad line from Kharkov to Taganrog. This work was success and Russian tsar Alexander II approved the project in 1868. He also was the first to raise the issue of environmental protection of the Gulf of Taganrog. But the related project encountered strong resistance from regional leadership and was not realized. Nestor Vasilievich assisted in opening the county court in Taganrog, open after his death in 1869. Kukolnik passed away unexpectedly in December 1868.